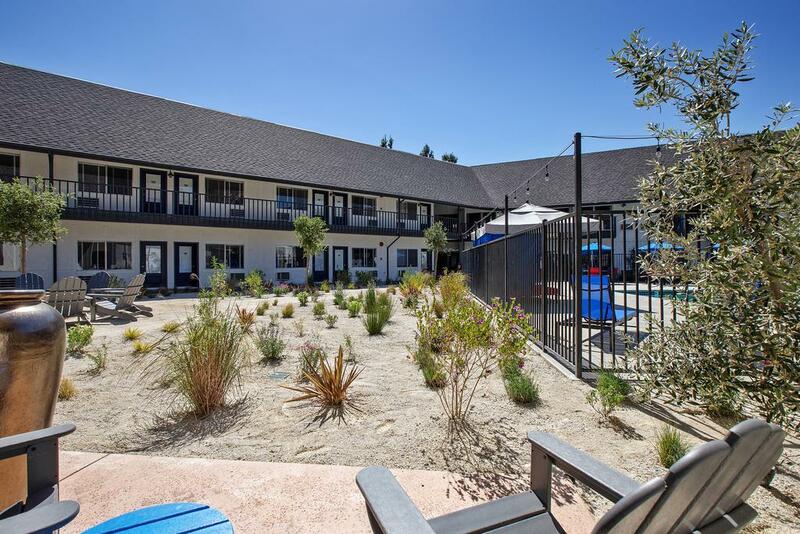 Travel the Highway West to Sideways Inn where you can unwind in a freshly updated rustic room with the Danish charm of nearby Solvang. Enjoy California’s breathtaking central coast with a variety of amenities at our attached sister property Flying Flags. Guests can enjoy the resort swimming pool, playground, and complimentary Wi-Fi. Sideways Inn also allows guests to easily access many of the area’s most popular attractions and destinations. Wine tasting at a local winery, the charming town of Solvang, and the serene surroundings of Lake Cachuma and Los Padres National Forest are just a few of the points of interest situated just moments away from our resort. The inn itself is an attraction as it was one of the shooting locations for the film Sideways. If you are looking for a memorable vacation experience in California’s wine country, look no further than Sideways Inn!